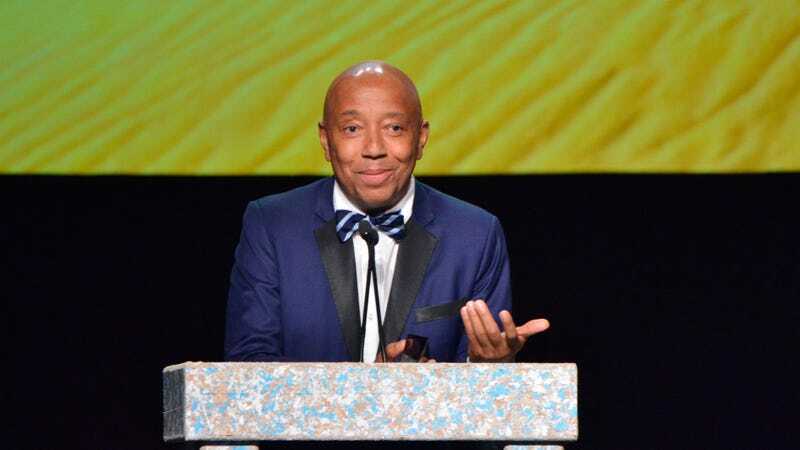 Recently, a woman named Keri Claussen Khalighi came forward with allegations against Russell Simmons and Brett Ratner, saying that Simmons made “aggressive sexual advances” toward her when she was 17 in 1991. Khalighi says that she met Simmons and Ratner at a casting call, after which Simmons invited her to his home and then made “aggressive sexual advances” toward her, all while Rather supposedly looked on and made no effort to help her. She also says that she tried to take a shower afterwards, but “Simmons walked up behind her in the shower and briefly penetrated her without her consent.” She says she immediately left after that. Appearing on Megyn Kelly Today this week (via The Hollywood Reporter), Khalighi offered more details on the alleged assault, explaining that it took her years “to process this experience” and that she decided to come forward after learning more about how women respond to sexual assaults—specifically the pattern of “guilt and shame.” She also says that she saw Simmons last year, and he gave her a “really touching, remorseful apology” for how he had behaved with her, allegedly offering “no dispute” of what she said had happened.